The Deluxe Room presents itself as an ideal option for guests that seek extra sophistication and elegance. 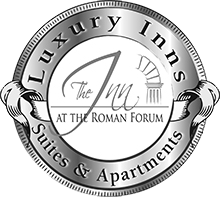 This spacious accommodation offers refined style and comfort, ensuring a guests their own space of calmness in the centre of Rome. The Deluxe Room is presented with a lush Queen Sized bed ensuring pure relaxation. When entering the bathroom, guests have the opportunity to enjoy marble lined floors with a Jacuzzi bathtub or walk-in shower. An abundant amount of ETRO bathroom amenities is provided on a daily basis to guarantee guests the highest quality service. Some rooms feature a decorative fireplace or sitting area, facing our internal courtyard.